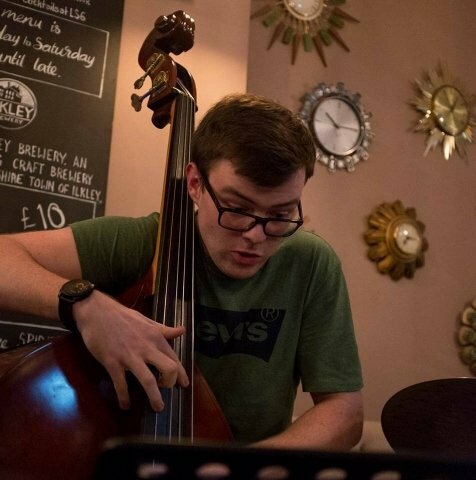 I'm a professional musician and recent BA (Hons) Jazz graduate of Leeds College of Music specialising in Double Bass, Bass Guitar, Guitar and Music Theory with experience in teaching one-to-one lessons as well as group sessions. My lessons are tailored to each student's own personal needs to make sure they get what they want out of each lesson. I have experience in teaching one-to-one lessons as well as larger group lessons. I've taught in schools and colleges around the country, helping out in workshops promoting learning music. For the past 2 years I have helped tutor at the Yamaha Falmouth Jazz Summer School in Cornwall working with other well established professional musicians and teachers. Whether you're a complete newbie to the instrument or consider yourself an intermediate I can adapt lessons to your needs. Beginner to Advanced tuition, all abilities welcome! In lesson's, we will cover topics such as technique, sight-reading, ear training, improvisation, scales/arpeggios, knowledge of harmony and learning repertoire. My aim is to give students the tools and motivation they need to practice effectively and make quick progress on their instrument all while having fun.